Baby Boomers like movies. We grew up with them. We were the first generation to have them come into our homes. We watched movies develop and evolve in the 50’s and 60’s at a faster rate than anyone could imagine, compared to the half-century before. New genres, filming techniques and themes were introduced, as we joyfully watched. As a result, we have rather sophisticated and eclectic tastes when it comes to film. With the advent of cable TV, DVD’s and the Internet, the entire magical movie kingdom lies at our fingertips. These pages are meant to act as a guide to direct you to the most meaningful films, from a Boomer point of view. These are the best of the movies that relate to our specific lifestyles, values and passions. You’ll find the new additions, the old favorites and the often overlooked. These are some suggestions for baby boomer movies that will point you toward the most significant cinema features of today and yesterday. I have decided to turn the movie critic job over to AARP Movies for Grownups to find the latest movies that us Baby Boomers may enjoy and review them for us. This list is updated every week. So have you seen any of these movies yet? If so, did you like or not? 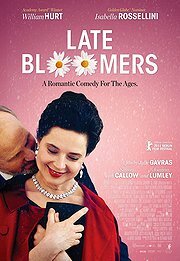 Late Bloomers – (2012) William Hurt and Isabella Rossellini In a romantic comedy, a man and a woman love each other but everything conspires to drive them apart. Despite their true feelings, they separate now so they can be together later. The man and woman are Adam and Mary. But Mary and Adam aren?t your typical 20 or 30-year-old couple; they?re nearing 60. Like many 60-year-old couples of the 21st century, they?re high functioning. And what?s more, they do it with style. They deftly juggle children, grandchildren, work and friends, with all the joys and disappointments that come with married life. Until one day they realize, to their great surprise, they’ve entered the senior category. And they react to this realization in totally opposite ways. A clash soon becomes inevitable and a separation ineluctable. Robot and Frank – (2012) Worried about their aging father living alone, Frank’s kids give him a humanoid robot that’s programmed to be his caretaker. Reluctant Frank — a retired cat burglar — soon warms up to his new helper and begins to treat it as a partner in crime. Why a move for Baby Boomers? Us boomers will be here soon enough. Searching for Sugar Man (2012) Decades after Detroit singer-songwriter Rodriguez disappeared following the commercial failure of his two critically praised records in the 1970s, two fans from South Africa, where Rodriguez was a huge hit, try to track down their idol. Why a move for Baby Boomers? Tells about an interesting life of an older boomer and his boomer fans in Australia. 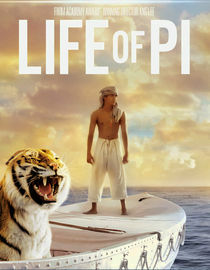 Life of PI – Based on Yann Martel’s best-selling novel, this coming-of-age tale recounts the adventures of Pi, an Indian boy who is the sole survivor of a shipwreck. Pi finds himself on a lifeboat with only some zoo animals for company. Parental Guidance – Billy Crystal movie- When their daughter must leave for a week, Artie and Diane Decker find themselves in charge of their three grandchildren, whose well-regimented and high-tech lives leave Grandma and Grandpa baffled and ready to bring on the old-school parenting. Hope Springs – 2012 – Feeling disconnected in her decades-old marriage, Maeve convinces her skeptical husband to attend a marriage therapy week with a celebrated relationship expert — but now they must shed their inhibitions and learn some new sexual and emotional moves. Why a move for Baby Boomers? Stars two of the most popular baby boomers with a story any married couple can relate to. Very interesting movie. 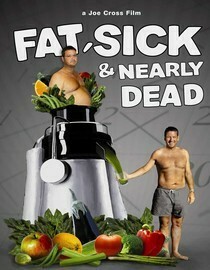 Fat, Sick & Nearly Dead You’ve got to see this movie. A real human interest story and you will get healthier yourself. Focusing on two men whose bodies have been trashed by steroids, obesity and illness, this documentary chronicles the rigorous healing path — including a two-month diet of fruits and vegetables — that both attempt in a bid to rescue their health. This is more like a movie than a documentary. So give it a chance and see it. 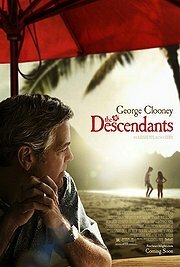 The Descendants (2011) Set in Hawaii, staring George Clooney is a good baby boomer movie. Why a move for Baby Boomers? George Clooney in a dysfunctional family. What can I say? 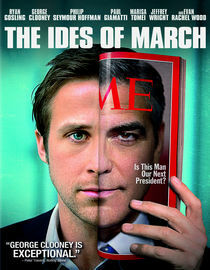 The Ides of March (2011) The Ides of March takes place during the frantic last days before a heavily contested Ohio presidential primary, when an up-and-coming campaign press secretary (Ryan Gosling) finds himself involved in a political scandal that threatens to upend his candidate’s shot at the presidency. Very good acting with some surprises and turns to keep it interesting; if not disappointing act of politics. R, 1 hr. 41 min. Mystery and Suspense, Drama. Directed by George Clooney. Baby boomer movie. 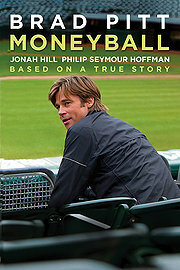 Moneyball (2011) Based on a true story, Moneyball is a movie for anybody who has ever dreamed of taking on the system. Brad Pitt stars as Billy Beane, the general manager of the Oakland A’s and the guy who assembles the team, who has an epiphany: all of baseball’s conventional wisdom is wrong. Forced to reinvent his team on a tight budget, Beane will have to outsmart the richer clubs. It’s more than baseball, it’s a revolution – one that challenges old school traditions and puts Beane in the crosshairs of those who say he’s tearing out the heart and soul of the game. Great baby boomer movie. 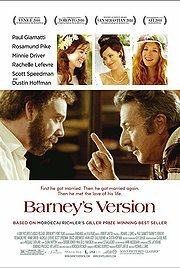 Barney’s Version (2011) This seriocomic adaptation of Mordecai Richler’s award-winning 1997 novel stars Paul Giamatti as Barney Panofsky, who meets the great love of his life, Miriam (Rosamund Pike), at the most inopportune time imaginable: his marriage to his second wife (Minnie Driver), a wealthy Jewish princess and compulsive shopper. Narrated by Barney as a confessional, the film covers 30 years of his unusual journey — from his first marriage to the chronically unfaithful free spirit Clara. Baby boomers will love this movie. R rated, 2 hours, 12 min. Boomer movie. as the “first lady of racing.” John Malkovich plays trainer Lucien Laurin, and Fred Dalton Thompson co-stars as big-shot breeder Bull Hancock. Good baby boomer movie. IN their Movies for Grownups, AARP says the new romantic comedy “The Light-keepers with Richard Dreyfuss is on on screen love story with characters over 50. It is rare to find grownp love stories. The Blind Side, starring Academy Award winner Sandra Bullock is a great movie for boomers. I enjoyed it, the audience didn’t want to leave. he entire cast is great, but it’s really Bullock’s performance that lifts The Blind Side above the typical sports drama. Män Som Hatar Kvinnor; Millennium: Part 1: Men Who Hate Women (2009) R Journalist Mikael Blomkvist (Michael Nyqvist) and rebellious computer hacker Lisbeth Salander (Noomi Rapace) team up to investigate the unsolved disappearance of wealthy Henrik Vanger’s (Sven-Bertil Taube) teen niece (Ewa Fröling), only to uncover dark secrets about Vanger’s powerful family. Niels Arden Oplev directs this Swedish thriller based on the first novel from Stieg Larsson’s best-selling trilogy. Baby boomer like this movie. but Avatar reaffirms James Cameron’s singular gift for imaginative, absorbing film making. See it in Digital 3D. rottentomatoes.com review> Jan 2010 Good boomer movie. high intrigue. Ben Kingsley and Thomas Kretschmann co-star as a pair of Russian police officers who are trying to solvethe baffling case in Brad Anderson’s taut and gritty travel thriller. Cast: Woody Harrelson, Emily Mortimer, Ben Kingsley, Eduardo Noriega, Kate Mara, Thomas Kretschmann Triller & suspense movie. incarcerated and the lawyers who put them in prison, and more. Some Good Movies Boomers have enjoyed include: Original Rocky, The Shawshank Redemption, When Harry Met Sally and Papillon. Baby Boomer Examiner – Paul Briand – Here, in one Baby Boomer’s estimation, are the 10 best movies that encompass the themes that defined the generation: peace, love, war, music, and self-identification. and friendship around a terrific music score; what boomer doesn’t love this movie. 2) “The Graduate” (1967) — Talk about Boomer angst … find a job, find a love, find Mrs.
hunk baton from Paul Newman to Robert Redford (and Katharine Ross to boot). 10) “Saturday Night Fever” (1977) — Defined the attitude of disco, the music and the dancing, whether we like to remember it or not. Netflix – Prefer your movies at home. Netflix is a great way to get your DVDs. Much info about movies. Now you can stream moves via wireless Internet. Movies for Seniors – list news and movies. Interesting. Rotten Tomatoes – Top movies reviewed and rated. Movie Reviews – Rate and review movies. Top critic movie reviews. You have great list with best movie review. Here are good movies some of them i have watched already some not. My favorite movies from this list are: Moneyball, Life of PI, The Descendants. I can’t comment for other movies but in general Interesting list of movies. A very good collection of movies listed above. My personal favorite is Life of Pi as it is the story of India from where i belong. Best collection ever for the movie. Life of Pi is the best movie i watched last year. Any good other similar release in this year? Butch Cassidy gets my vote as the top choice in this list. Still a great list! Your list is really helpful – I was born in the early 70’s, yet I’m really interested to watch the movies in the list. Thanks for sharing. 😀 Have you watched Jet Lag (French), Chocolat & Sense and Sensibility? I think they are great too. Great choice, thanks for sharing this amazing read, you have selected these movies from experience. Out of all the movies, I like Life of Pie. Its must watch one!!! Awesome movie choices and agree that Butch Cassidy is an all time favorite. Thanks for the list! great list with best movie review. The collection of movies are great, in this collection I have watch the Life of pie and The descendants. It is very educational and you can learned how to take care of those precious moment in life. The name, “John Stewart,” may not immediately ring a bell. If it does, the comedian, Jon Stewart, the host of Comedy Central’s “Daily Show,” most likely comes to mind. But that would be a mistake; this Stewart isn’t him. J-o-h-n Stewart had a nearly fifty year career in the music industry as part of a famous folk group, released several songs as a solo artist that charted and even had a few hit recordings of his own. If the name still doesn’t register, one song he wrote will bring back instant memories of your childhood: “Daydream Believer.” You probably know the name of the group who had the first hit recording in 1967. You might even remember that Anne Murray also charted with the song in 1980. You may also recall that Susan Boyle recently sang it on her first album. But do you know anything about the man who wrote it? Unless you are part of the worldwide cult that is John Stewart’s fans. Documentary producer Steve Kosareff (“TV Man: the Search for the Last Independent Dealer”) who has been part of that cult for 44 years wants to change that. He wants to give Stewart the due that he feels (like many others) he so richly deserves. Kosareff wants to tell the story of the long shadow “Daydream Believer” cast over Stewart’s career for almost twenty years which was as much a curse as a financial windfall. Stewart’s career received a major launch early on when he replaced Dave Guard in the Kingston Trio in 1961. It was the height of the folk music craze that swept the U.S. in the late 1950s and early 60s. The Trio was at the top of the pyramid that would launch the careers of Bob Dylan and Peter, Paul and Mary. Older boomers remember the Trio taking the country by storm, much as the Beatles would a few years later. The group was everywhere it seemed: nightclubs, college campuses, records, radio, television shows, and commercials for 7-Up. The group even shot a pilot for a sitcom. If folk music was king; the members of the Kingston Trio were its gods. Stewart had written and sold several songs to the Trio before he was selected to replace Guard. It was an easy transition with Stewart who was not only a great songwriting and singing talent, but a performer who displayed a great sense of wit and comic timing on stage. As successful as the group was it was just as creatively stifling and Stewart, who was a salaried employee and not a partner, attempted to leave at least once, finally succeeding with the break-up of the group in 1967. He started to play small clubs as a single but his previous successes haunted him. The recent success of the Monkees’ recording of “Daydream Believer,” allowed people to believe the group may have written the song and, other than writer’s royalties, the song did nothing to promote Stewart’s career. In fact, it may have hampered it. The recording’s arrangement was an upbeat anthem and pop symphony of piano, horns and strings, a far cry from the way the Trio or Stewart as a solo recorded. Far more damning was Stewart’s success in the Trio which led to expectations from his audiences that he would sing the group’s hits, but he refused to make his mark as a solo artist. It was tough going, but Stewart’s history in the recording industry did have its perks: he knew a lot of the right people. One of those was Capitol Records’ and Trio producer Nik Venet who thought he knew just how to capture the essence of John Stewart’s new country-rock music. Venet decided to record Stewart live with top musicians in Nashville. These sessions would produce one of Rolling Stone’s seminal top 200 albums of all time. What became of that album would be the benchmark for all Stewart albums that would follow over the next 20 years: critical acclaim and disappointing sales. That is until he had an epiphany that would change the course of his career. Documentary producer Kosareff is seeking one or a few wealthy boomers who are Stewart fans to serve as executive producer(s) to launch the production he has entitled, “The Ghost of Daydream Believer: John Stewart’s American Spirit.” Kosareff also has plans for a companion all-star concert film celebrating Stewart’s music to be staged at the Phoenix Symphony Hall where forty years ago Stewart recorded his historic “Phoenix Concerts” album. If you are interested in supporting this project at any level please contact Kosareff by email at TVMan@TVMan.tv. For those at the highest level of potential support Kosareff will provide a production package for review. I like Moneyball because it is based on a true story. Wow, most of them was really good films. I think I haven’t watch some movie from the list. Songs and movies are best source of entertainment. I still remember when i was a little kid and went to theatre.. This site has a nice collection of movies remind me of that day great work. Great collection! The Descendants is an awesome movie! we could what that one with the whole family and everyone enjoy it. After looking through the 10 best Baby Boomer’s movies, I hope everyone agrees with me that “Star Wars” (1977) — Episodes is the best movie from that list. After watching Star Wars: Episode VII – The Force Awakens (2015) trailer from newvideoz.com, I hope this movie get released at my cinema in IMAX screening. 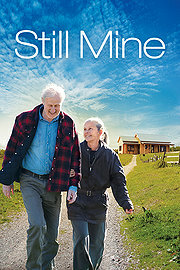 quite interesting list of movies, “still mine” make me speechless, one of my fov, keep sharing… thanks. good list, i always give preference to based on true story or biography movies, love to see reality not fake drama.. thanks foe sharing the list.. Recently watched Birdman with Michael Keaton. Not normally something I would pick up off the shelf but was pleasantly surprised by this movie. The movie starts out with him floating several feet of the ground. …it got me right there. Black or White is a great movie. It wasn’t filled with a lot of tricks and gimmicks to make it interesting. It was a movie filled with a real life situations that all generations should see. A great reminder of where we as a people come from and sheds light on where we are and how far we can go. Love was the theme of the movie. Simple yet thought provoking. $9 well spent! Good job picking all amazing movies. The Secret Life of Walter Mitty (most recent) was a great movie for anyone wanting to break out of their doldrums and go on an adventure. I agree with mason..netflix feels very limited. I’m a huge fan of apple tv though. Thanks for the great list! Cheers! Such a good site and luv all the peoples interactions! Some good recommendations here. 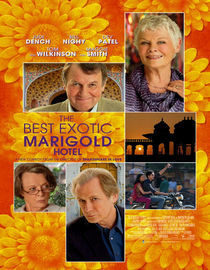 The Marigold Hotel is a hoot! Really enjoyed Searching for Sugarman as such an amazing story. Very enjoyable.